Jude J. Brown was sworn in for a three-year term. Newly-elected Eastern Regional High School Board of Education member Jude J. Brown is sworn in. Jude J. 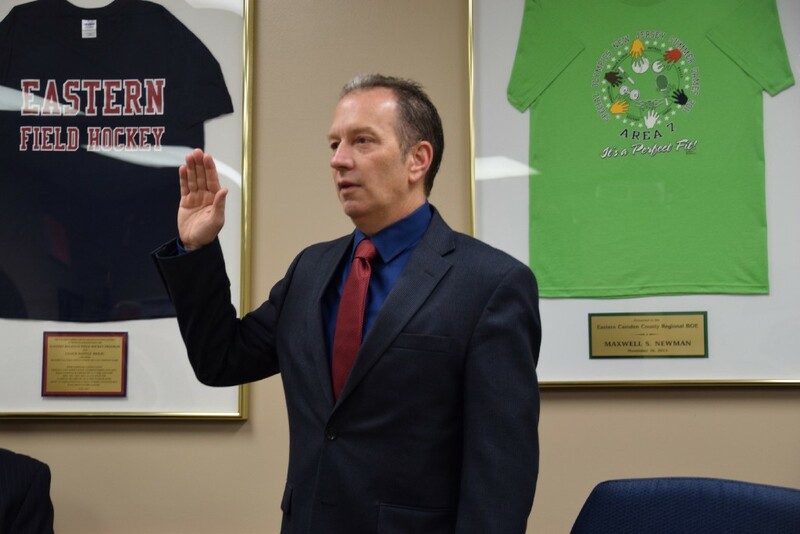 Brown was sworn into a three-year term as a member of the Eastern Regional High School Board of Education at its latest meeting. Brown grew up and still resides in Voorhees. His three children went through the school district. He is not the first in his family to be on the school board. His brother, Bill, held this position 30 years ago until Mary Schmus took over. She retired in 2016, and Brown thought it was the perfect time for him to take her vacant spot. 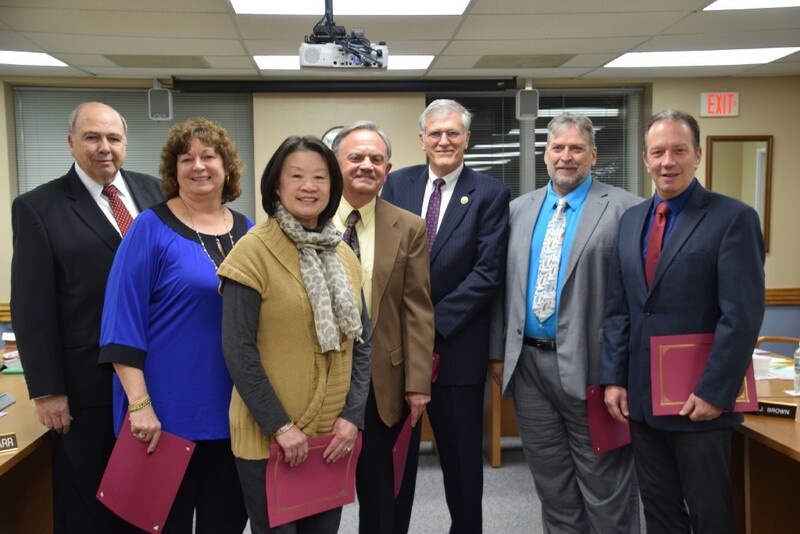 • January was designated as “School Board Recognition Month” in the state, and Superintendent Harold Melleby acknowledged the school board members by providing them leadership certificates. Melleby also mentioned that none of the board members has a student at Eastern, something he said is unheard of. Eastern Regional High School Board of Education members. From left, Robert DeCicco, Gail David, Elena Chow, Robert Campbell, Richard Teichman, Robert Paul, Jude Brown. Not pictured: Hillary Garr and Dennis Deichert. • During the public comment portion of the meeting, Marc Kahn of Voorhees raised concerns over how the district is spending its budget and not getting as much as it should in return. He asked the board why it doesn’t charge tuition students the maximum amount allowed by the state, which is in the $13,000 range. Eastern’s current rate for tuition students is $11,120. Melleby and Schiraldi, the district’s business administrator, said it raised 3 percent over the last few years and there will be another increase, but they have not made any recommendations to the finance committee yet. They are also looking at other districts to see what they are charging. Kahn also asked why the district doesn’t charge outside groups who use Eastern’s facilities, such as the athletic fields and auditorium, more than they do now. Melleby said they have a “pretty good sense” on what the lights on the athletics fields cost. Melleby continued to say they are waiting for a report back from Eastern and said it is unfair to charge outside groups an equal amount if one of the groups is using the athletic fields where they have to use on the lights.